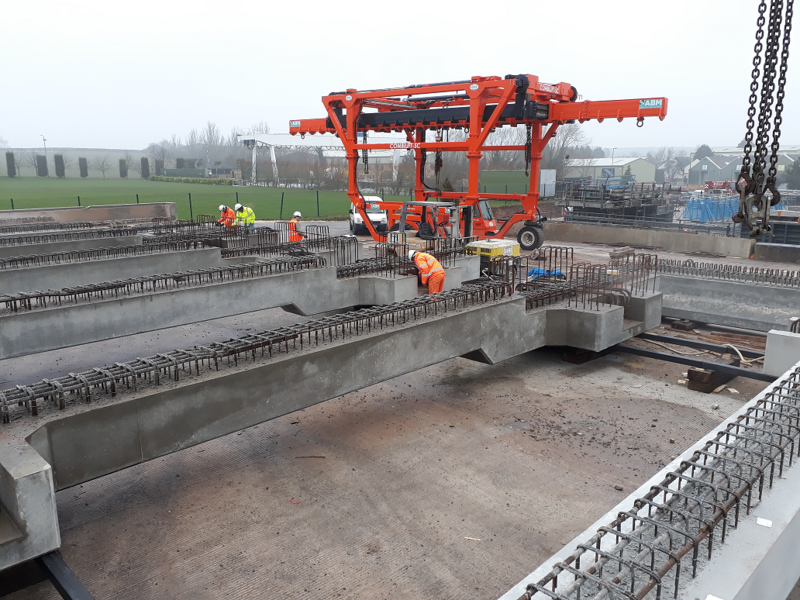 Working closely with leading civil engineering contractor BAM Nuttall, ABM has recently completed manufacture and delivery of thirty bespoke precast concrete deck sections weighing over 430 tonnes. The precast units will form the deck platform for a new deep water jetty capable of servicing ships up to 120,000 tonnes delivering bulk jet fuel to Oikos Storage Ltd’s Canvey Island facility 38 miles east of London on the River Thames Estuary. 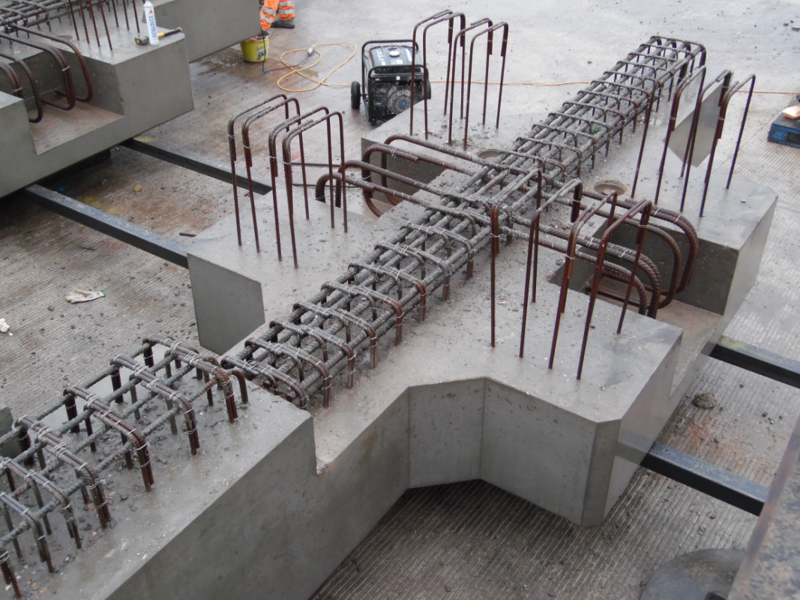 Eight 15m long reinforced concrete beams were manufactured with a connection detail to allow them to be placed over and connected to tubular steel piles driven in to the sea bed. 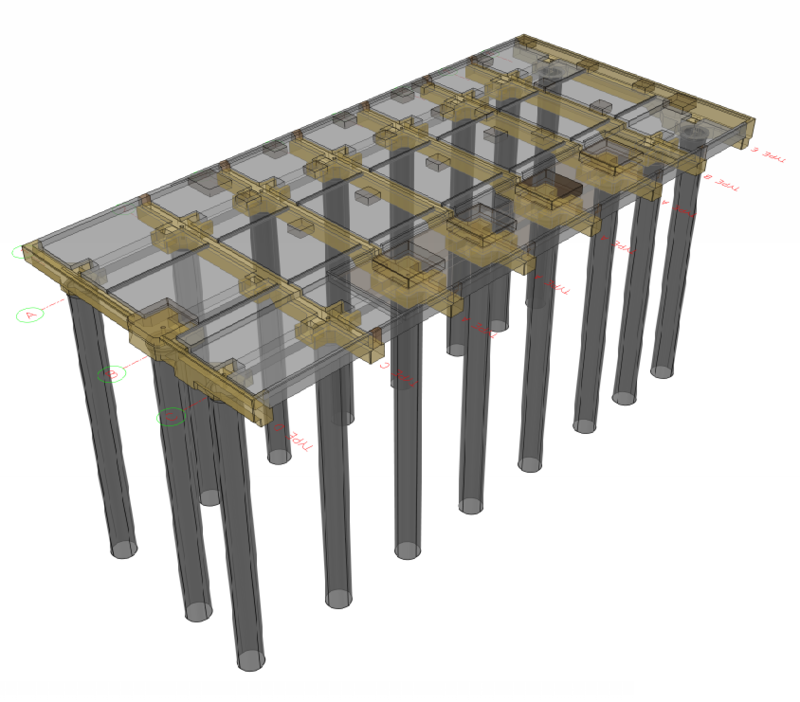 Twenty-two deck units were then placed between the beams to form the main jetty platform prior to an in-situ concrete fill being placed to complete the structure. Cast-in fixings were provided for edge protection and operational equipment to minimise construction processes in the off-shore location. In a complex logistical operation ABM delivered precast components to a port facility in north Kent from where the main contractor transported them by barge to the off-shore installation on the north bank of the Thames estuary. 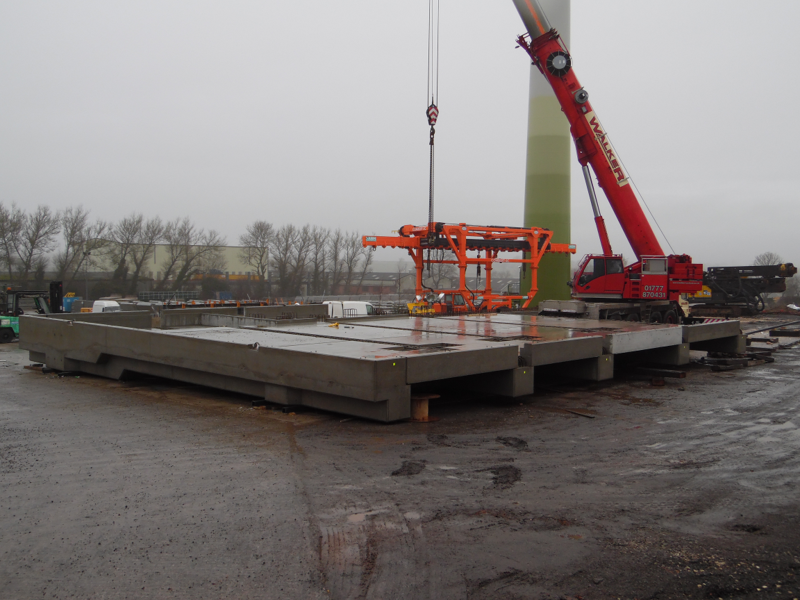 A full trial erection of the deck structure had previously been carried out at ABM’s works in North Nottinghamshire to minimise risks during the challenging off-shore construction process. 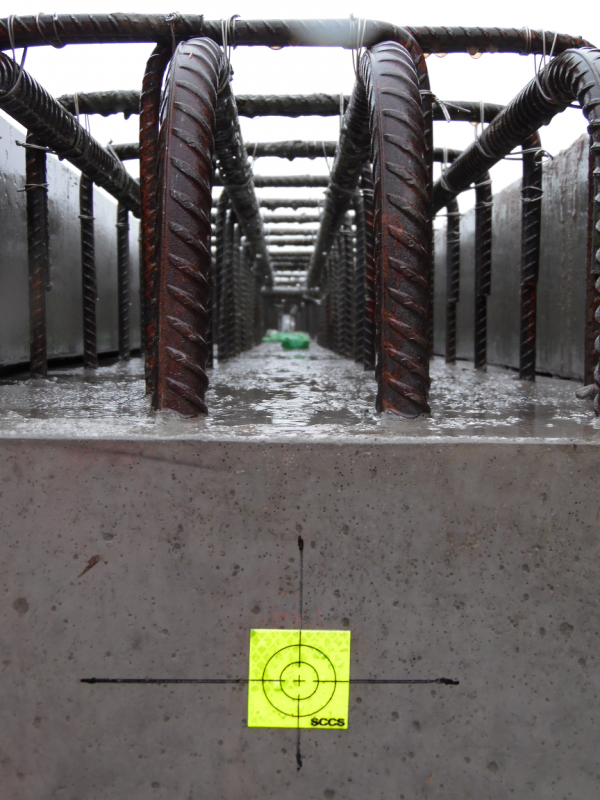 Over 340 tonnes of bespoke high-precision reinforced concrete jetty components.